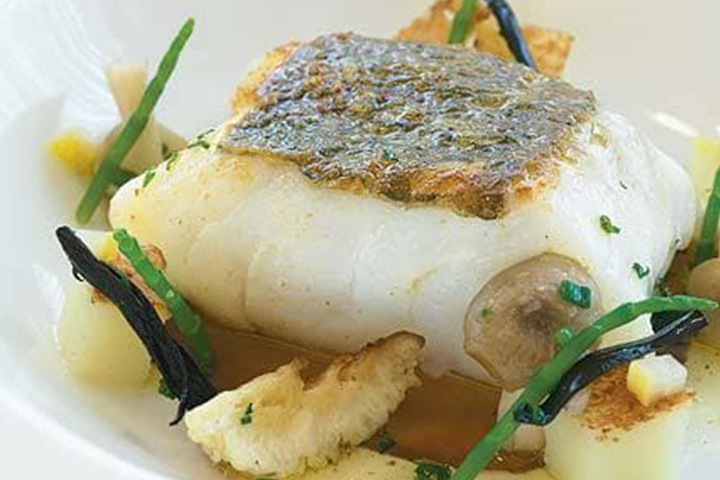 Have you heard of Skrei Cod, and if not, then it’s about time that you did. Between January and April, each year, millions of migrating cod undertake an annual journey from the Barents Sea, travelling thousands of miles back to their spawning grounds along the northern part of the Norwegian coast. This is an excellent and delicious fish, served on Mother's Day with artichokes, wild mushrooms and citrus shallots (!) and it was a great hit. Grassington House will be serving it on the menu for the rest of the month, and the great thing is that the stock is sustainably line-caught, with only 10% of stocks caught to eat. Hurry before the end of the month to discover it.